I am currently returning to exercise after a sporting injury and the fitness team have helped me every step of the way with my rehab. If variety is what you want in your workout then Helenswood Sport Centre is the ‘go to’ destination. We have the latest technogym cardio machines. Fully integrated touch screens give you the option of TV, Radio or gaming. You can even connect your iPod and catch up with your personal viewing. We also boast the latest range of technogym resistance machines, as well as a fantastic DAP cable machine and vibration plate. Whatever body part you need to work on, whatever your fitness goals are, we’ve got it covered. 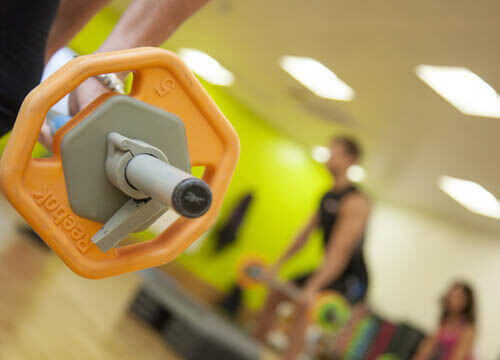 If free weights are your thing then we can accommodate that too. Helenswood Sports Centre offers a wide selection of barbells, dumbbells and Olympic bar and weights, all with the related benches and squat rack/frame. If this isn't enough we have 2 TRX suspension trainers, kettlebells from 4kg to 24kg, and did we mention the ViPR from 4kg to 12kg, sandbags and medicine balls? The wide range of group exercise classes are great and I find it the perfect way to mix up my workouts! With 40 different classes a week there is something for everyone. With a full range of classes, you will find a group exercise class that will help mix up your workouts. For those looking to improve flexibility and posture our Pilates classes are a must. Our large studio is mirrored so you can focus on your body position, there is a ballet bar and a full sound system. With our team of fully qualified fitness coaches always on hand we can get you to your goals whether it be to lose weight, get a bit fitter or get back to fitness after injury! For exceptional results you need an exceptional training environment. 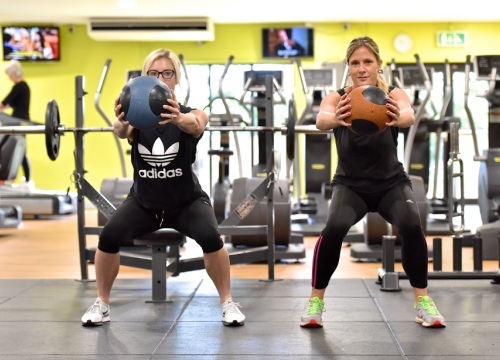 Helenswood Sport Centre is exactly that and we can even offer you Personal Training to hone that fitness with the help of a fitness professional. 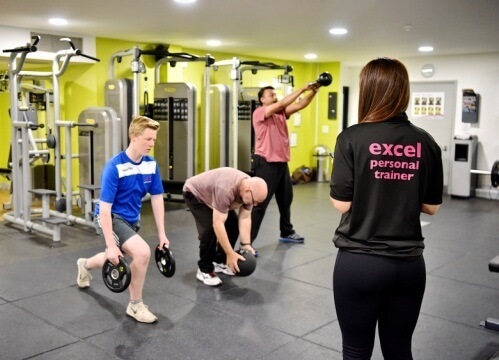 sometimes you need that extra bit of motivation or direction to reach your fitness goals, that is where an Excel Personal Trainer can help out. regular exercise has hugely improved my health issues. I'm so glad my GP suggested this scheme. 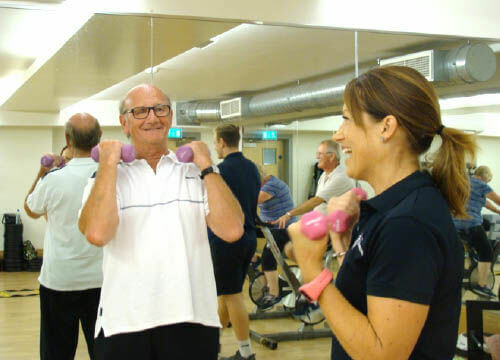 GP Referral is for those who have been recommended or referred by a medical professional to exercise under the supervision of a qualified exercise professional to help improve an existing medical condition. Helenswood use the company 20/20 Health whose programme is accredited to the NHS. They fully supervise all sessions with their qualified staff.